This is a beautiful and very affordable shield! 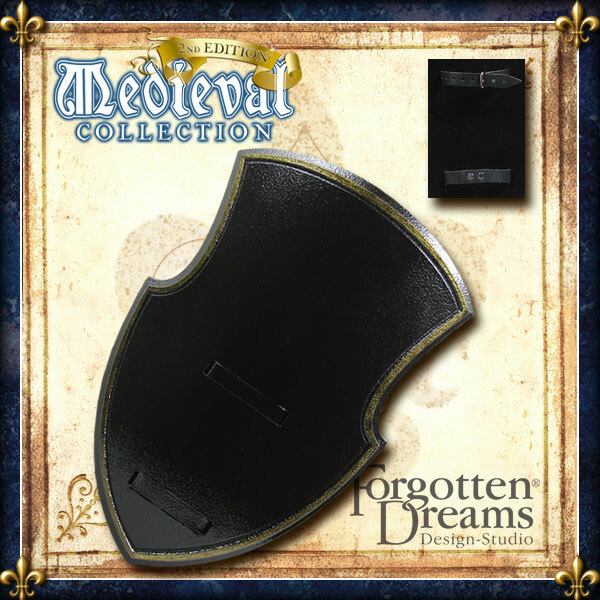 It is smaller than the other Forgotten Dreams shields; it is comparable in size to the EagleFlex shields - perhaps a bit smaller. The grip is composed of two straps mounted vertically for ease of use and great manueverability. It is made of solid foam with a plain black face place and with the grip straps embedded into the foam.